I'm looking for what I think is called the Minute wheel, as shown in the pictures. 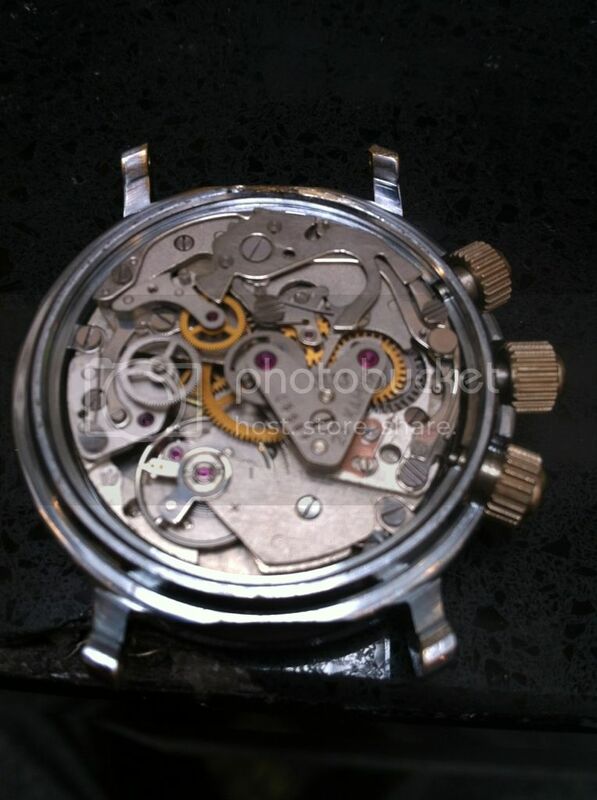 It's for a Vostok 2416b movement in my Komandirskie Submarine Commander watch. My location is England, UK. Sorry the pictures are awful! The alarm (upper) winding stem of my Signal fell off the other day. I was on the train when it happened and I only realised too late, so the stem is probably pursuing its own journey somewhere in the British railways network. If anyone has a spare alarm winding stem, preferably with the convex crown of the сигнал (Singnal) type, or any suggestions about sourcing it, I would be really grateful! Wanted: one earlier style Komandirskie crown/stem unit. Unlike the current one for the Amphibia which is stamped steel, the earlier large crown Komandirskie type is chromed brass, with a sharper knurling around its perimeter; my example has been squashed so it is no longer able to be screwed into the threaded crown tube. A flat-ended one is preferred for my Type 341. Thank you! Need chronograph pushers for this watch. 5.5 mm crown dia. 7mm wide and 1.1 mm stem. Gold coin edge. Looking for one of those ugly new Amphibian bezels. The ones with the dots and serrated edges - mine just flew off the watch and took a plunge into the ocean an hour ago. It's my work watch, and I'm a little worried about banging it up without the bezel and would rather not wait three weeks for one to come in from Russia. I figure someone out there who's modded their bezel has a spare lying around. I need the red hands for a Seiko 6139-6002 Pepsi. Any ideas would be welcome. Forgive me for posting a request about possibly a laughably common or not actually made-in-Russia watch, but it is a souvineer and I treasure it. As you can see in the attached photo, there used to be a crown and button friction fitted over the circular disc winding part (sorry don't know the name for this!). The crown broke in half and the button is lost. Can anyone offer any spare part that can help me?